Thank you for your interest in ADCOM. It is my pleasure to welcome you to our updated website and hope you find the information you are looking for. We are always looking for ways to improve our services and welcome any feedback you may have. ADCOM (The Adams County Communications Center, Inc.) is a full-service public safety communications center that answers 911 calls and dispatches police, fire, and EMS services. Formed as a non-profit entity in 1974, ADCOM was created with the express purpose of providing high-quality public safety communications services to its member agencies and the public. ADCOM began operations in 1975, and after 40 years the center continues to operate with this being its primary mission while serving an expanding population of over 460,000. Last year, ADCOM handled approximately 170,000 911 calls and dispatched over 225,000 calls for service. In order to provide this level of service, ADCOM employs a staff of over 50 dedicated, talented, and highly trained employees who are available to provide help 24 hours/day, 365 days/ year. In addition to a highly trained staff, ADCOM has taken the lead in public safety technology by deploying the nation’s first Public Safety Broadband LTE network. This network allows for the rapid sharing of information during any crisis, expediting the process of getting first responders the support they need in the field. It is clear that the expanding population, shifting demographics, and evolving technologies will increase the demands on public safety communications, but the professionals at ADCOM will continue to provide the highest level of service to the first responders in the field and the citizens of Adams County. 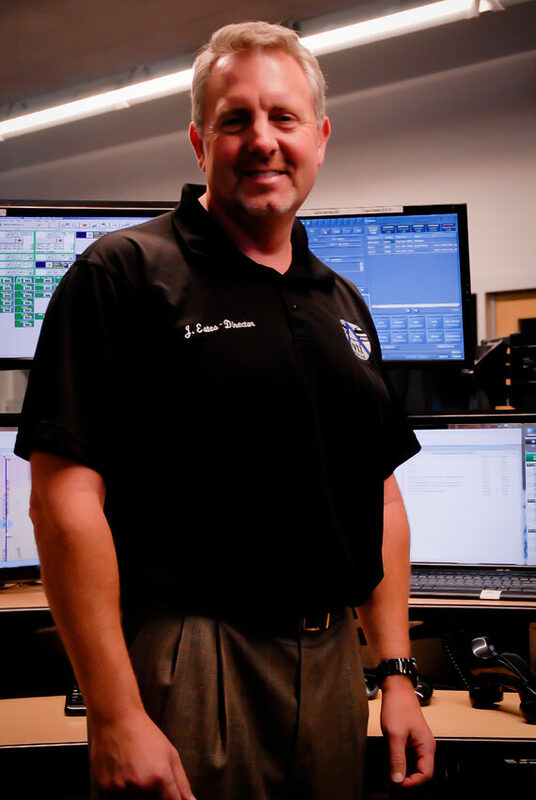 The Adams County Communication Center, also known as ADCOM911, is a non-profit Police and Fire/EMS Dispatch Center located in Adams County employing state of the art equipment and technology for phone, radio, and mobile communications. ADCOM911 currently serves a population of approximately 460,000 citizens, through both emergency 911 calls and non-emergency phone calls. In 2013, ADCOM911 processed over 300,000 requests for service based on citizen calls. To date in 2014, ADCOM911 has generated over 181,000 requests for service, making ADCOM911 one of the largest and busiest emergency call centers in the State of Colorado. It is ADCOM's vision to become the premier, public-safety communications center in the State of Colorado. ADCOM911 first began live operations in April of 1975 and was founded in 1974 with the intent to provide a single, shared resource for emergency and routine dispatch services to public safety entities that chose to participate. The participating agencies used a collaborative approach, where the capital and operating expenses would be shared amongst each of them, based on their proportional use of the system. The concept allowed for a great deal of flexibility, because each agency could make a smaller financial contribution, but still realize the same benefits they would have received using their own dispatch center. In addition to our member agencies, ADCOM911 provides contract dispatch services to the Strasburg Fire Department, which does not contribute a voting member to the Board of Directors. As such, both capital expenses and operational expenses are paid by each member and contract agency. Each year, ADCOM911 prepares a budget which covers all expenses for the coming year, and calculates the number of requests for service generated on behalf of each agency. Each agency then proportionally splits the cost of the budget, based on their annual use of the system. ADCOM911 is governed by a Board of Directors, which is responsible for the oversight and accountability of the organization. Each member agency contributes a single representative, usually the Chief of their own organization, to participate as a Board Member. The Board meets regularly to discuss the ongoing operation of the Center. Please click on title above to see the Changes to the Adams County Emergency E911 Telephone Surcharge. ADCOM’s mission is to provide high-quality communication, dispatch, and data services to its member agencies, the citizens it serves, as well as to any who calls on ADCOM for help.